At Criteo, we are on a constant quest to solve complex problems, which is why we’re always on the hunt for curious people all over the globe. We are on a mission to redefine advertising for brands, retailers, publishers and consumers, and continuous innovation is how we’re going to get there. Thanks to the vision of our employees, we’re able to respond quickly to whatever is coming around the bend. And, there’s always a new challenge to face in our rapidly changing market. The problems we tackle are difficult, yet they are also some of the most interesting ones you can come across in technology today. As we like to say, we’re not just working with big data, we’re working with Huge Data! Now, to the latest on innovation at Criteo: this year’s Global Hackathon – SMASH IT! Edition was another great success, and we want to thank everyone for participating and sharing your new ideas and new projects. When we started the hackathon in 2014, it was strictly for R&D purposes. But, we were so inspired by what occurred that we decided to open the hackathon up to all of our employees – in every department, in every office. We saw clearly how innovation, which is vital to the future of our business, can come from any person at Criteo. This is the case whether it’s to improve our technology, our products, our business processes or our environmental sustainability. The hackathon embodies our two simple principles that nurture everything we do, working smarter and faster. 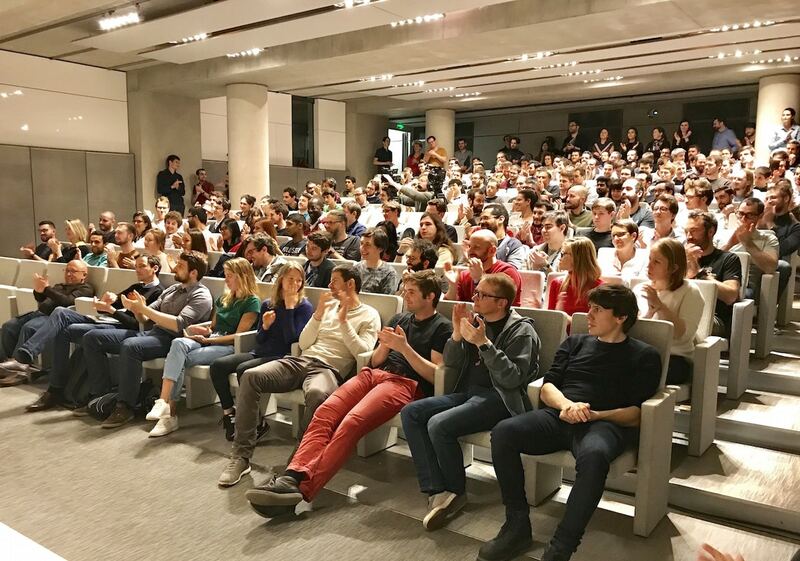 As time went on, we started viewing the hackathon as a bigger strategic tool that had the potential to empower everyone who works at Criteo and ultimately drive our business forward. This year, we had 650 participants from 24 of our offices around the globe come together across the three hackathon hubs (Paris, Palo Alto and Singapore). In the end, the most game-changing ideas often form out of hallway conversations rather than in pre-set meetings. These conversations are had by people who work in totally different departments, but together they have a special combination of vision and relevance. Cross-departmental collaboration helps us adapt, move quickly and bring new ideas to maturity to create real benefits to our business. Our hackathon is all about bringing your ideas to life and making sure that you can make an impact. In fact, previous Hackathon editions have resulted in several projects that are currently in production. Here’s an example from our 2016 Hackathon of an idea that became reality: Criteo Hackathon 2016: The MugaWatt Project. Nurturing our culture of innovation is not just about staying competitive – it’s also about making sure that we continue to have fun at what we are doing. Never stop questioning!